Decompression surgery, or lumbar laminectomy, is a surgical procedure that is performed on the spine. It is a commonly performed procedure for individuals diagnosed with spinal stenosis, which causes compression of the spinal nerves within the lower back. This occurs as a result of changes in the spine due to the aging process. The spine’s nerve roots become compressed as the spinal passages become narrowed, caused by misshapen vertebra. In addition to pain, other symptoms of spinal stenosis include weakness and numbness of the hands and feet. Although decompression surgery usually has a successful outcome for the majority of patients, there are others who experience significantly more back pain upon completion of the surgery. Patients who have had unsuccessful decompression surgery can experience functional incapacitation. A condition known as Failed Back Surgery Syndrome is an additional outcome of a failed decompression surgery. This can occur in 10 to 40 percent of patients who have received decompression surgery as the surgery does not accomplish the desired result and the patient experiences a significant increase in chronic neck or back pain. Medical professionals must take all the necessary precautions to ensure that the patient’s existing back condition does not worsen after surgery. 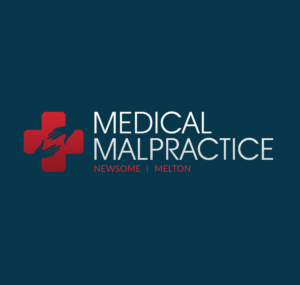 Back surgeons and other medical professionals can be held liable for the damages and pain and suffering experienced by the patient as a result of their violation of the standard of care duty. In most cases, back surgeons take all the precautions necessary when performing decompression surgery and the outcome is not successful due to current condition of the patient. It is also possible that a patient who underwent decompression surgery may have been misdiagnosed or was given unsuitable or incompetent physical therapy or rehabilitative services after the completion of the surgery.